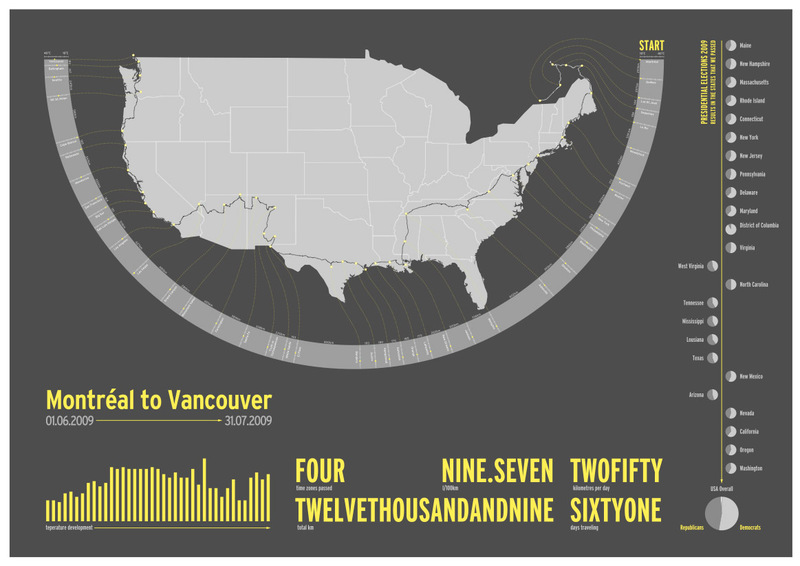 Visualization of a two months roadtrip through Québec & the USA. Data: distances traveled, temperature & results of the last presidential election. The change in temperature (north to south) represents a change of climate and vegetation. Along with the landscape, we noticed a change of mentality in the states we passed. This change of mentality coincides quite well with the presidential election results of these states.